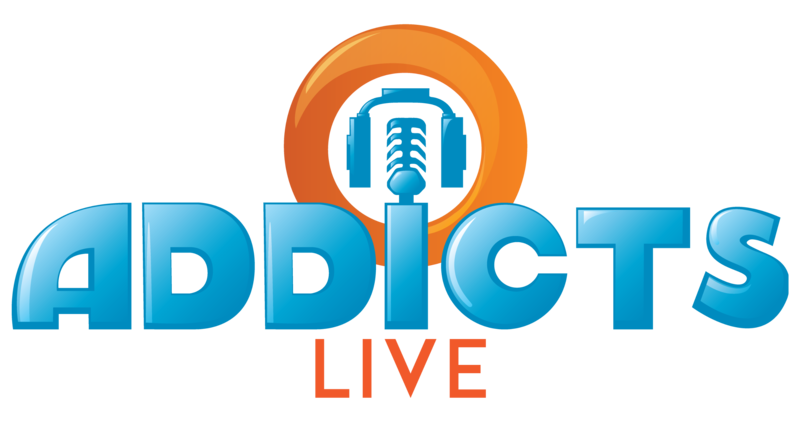 ← Should I Spend Donuts on Hooch City? 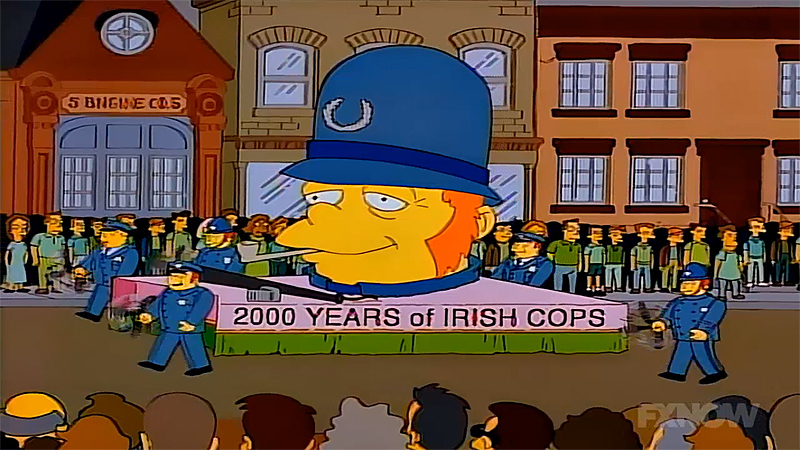 The episode on which most of the St. Patrick’s Day/Homer -vs-The 18th Amendment Green/Beer/Shamrock stuff, is from an episode of the same name. No. 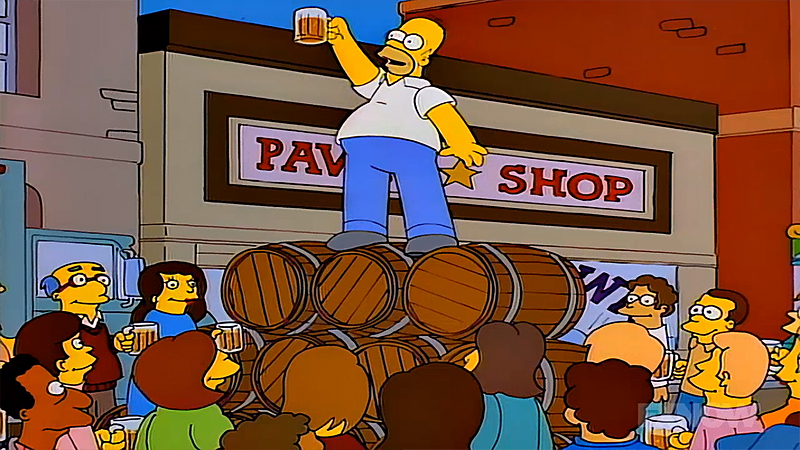 Not Shamrock Stuff…but, Homer vs the 18th Amendment (S8E18). You wanna have a full-blown…real-deal booze fest? 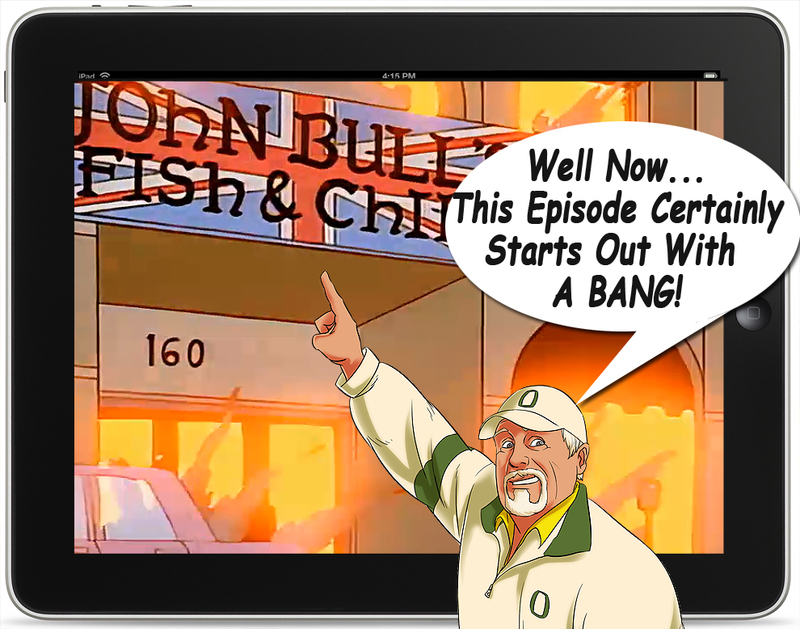 Then buckle in kids…because this episode is loaded…as in smashed…trashed…and besotted. It all starts out with Kent O’Brockman, covering the St. Patty’s Day Parade from Main Street! Brockman: Kent O’Brockman live on Main Street where today everyone is a little bit Irish except, of course, for the gays and the Italians. There’s an explosion… which is a “tip ‘o the mug” to the “Irish unpleasantness between the English Protestants and Irish Catholics.” In defense of the writers…this was not long after the REAL stuff finally ended with a treaty in 1994…ending almost a century of unrest and civil destruction. 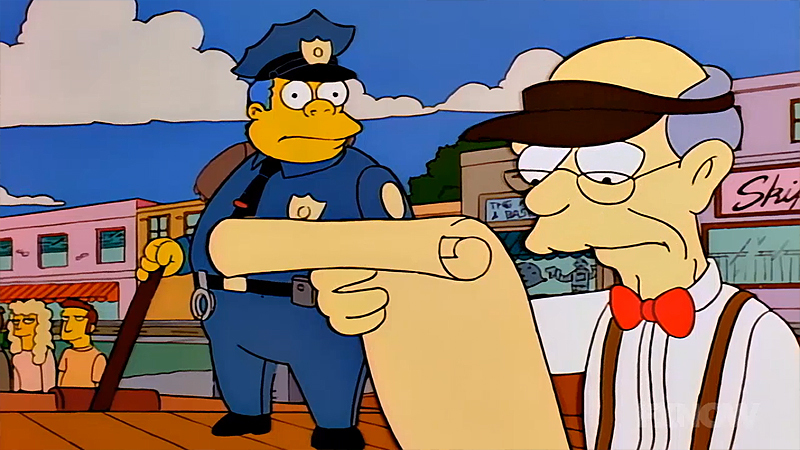 Wiggum: All right, then. Move along. – Nothin’ to see here. – Show’s over, folks. 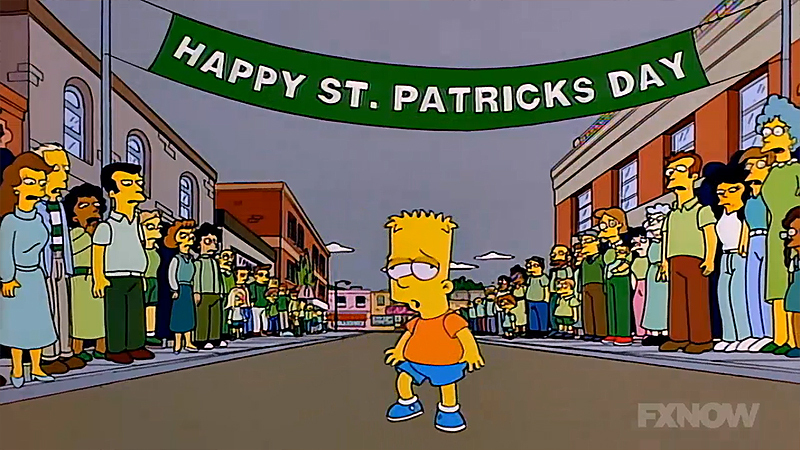 During the celebration mayhem, Bart accidentally gets drunk. Really. It WAS an accident! But, it causes a huge uproar…with mothers going nuts about protecting the children. Howard: No, we’re not worried. 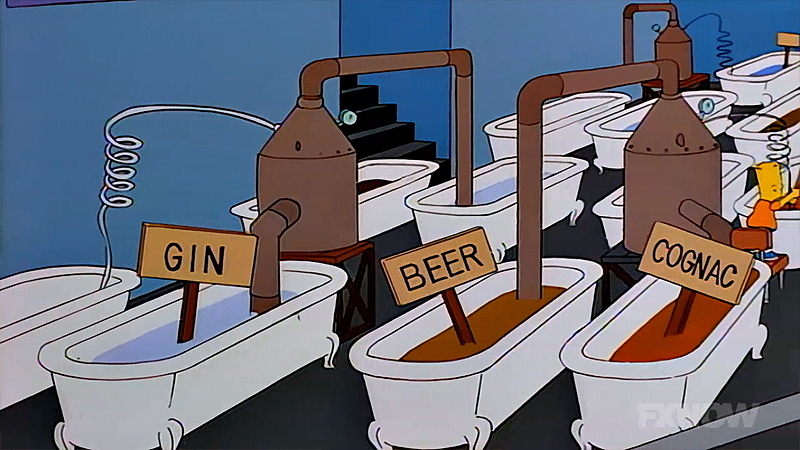 Our customers buy Duff for its robust taste, not its alcoholic content. 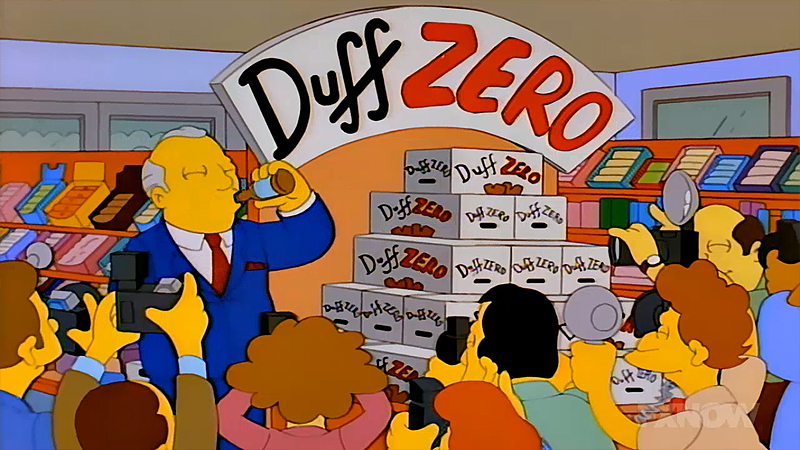 I predict our new alcohol-free Duff Zero will sell even better than our previous brand. Howard: Oh! [Grunts] Well, that’s the end of me. However, just as happened when America first tried Prohibition, the criminal element begins to take over, with an underground element flooding the market with booze and speak-easies! Angry Mob: We demand you bring in a police chief who will enforce the prohibition law. 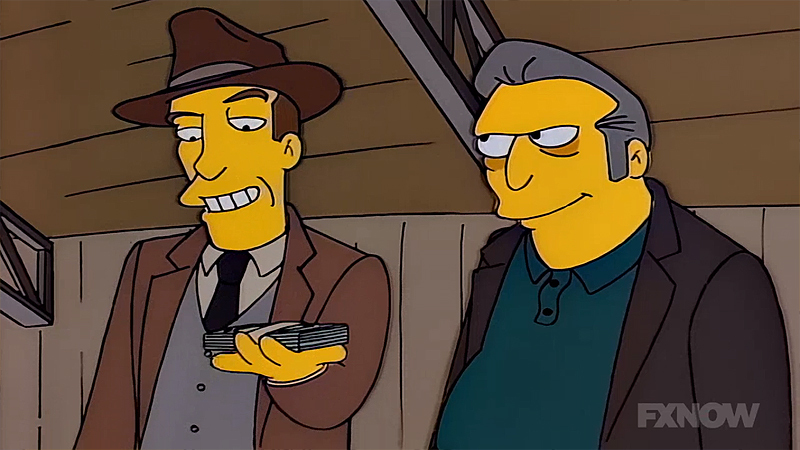 Quimby: Demand? Who are you to demand anything? I run this town! You’re just a bunch of low-income nobodies! Wiggum: Uh, election in November. 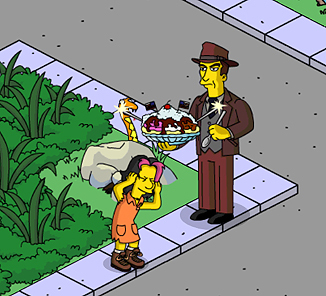 Quimby: What? Again? This stupid country. 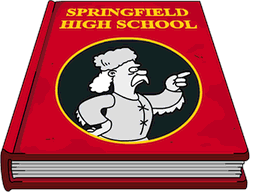 [Narrator] With rum-running hoodlums in the catbird seat Springfield sent for the one man who could clean up the town and shoot the gangsters- Rex Banner. 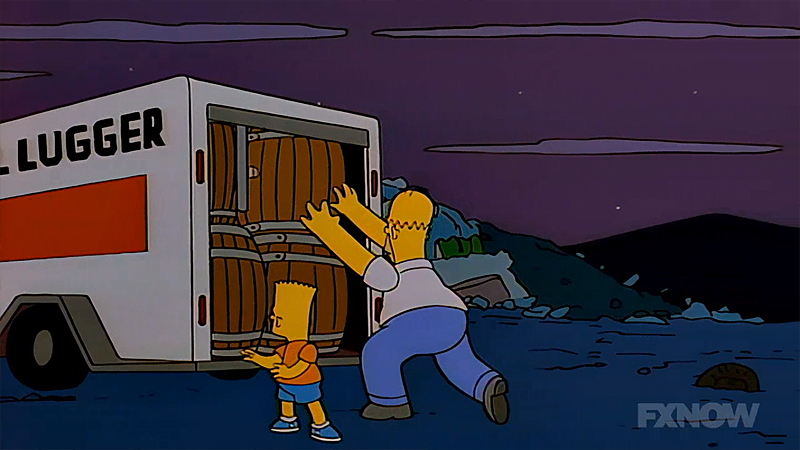 MEANWHILE… Homer and Bart have gone to the dump to dig up and remove countless barrels of beer that have been buried there by the authorities to get it off of the streets. Homer concocts an elaborate plan to put the beer in bowling balls…send it down a series of ramps, and deliver it straight to Moe’s “Pet Shop” (the front for his speak-easy), from the bowling ally. 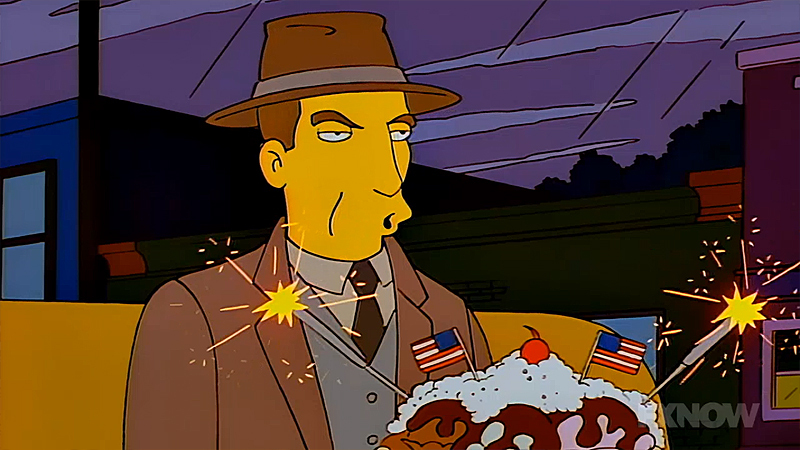 During an interrogation scene, we see Rex with his famous “Banana Kaboom!” dessert. Which is one of my favorite Rex tasks in the game. 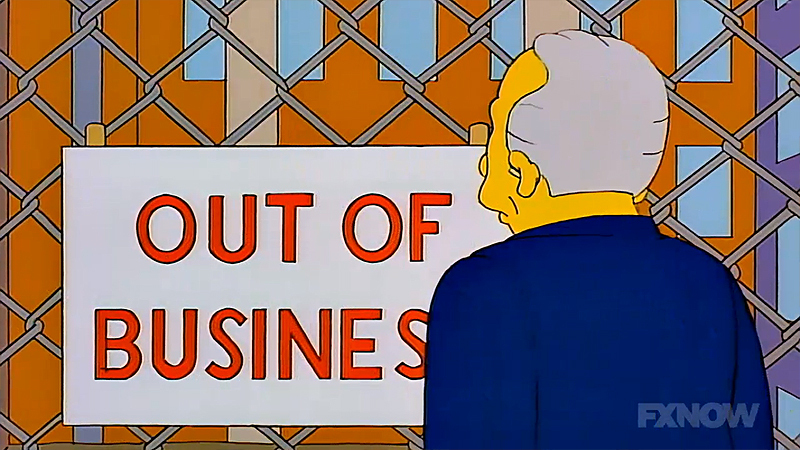 Banner: I’m happy to report that the flow of illegal liquor seems to have dried up public drunkenness has ceased, and those mysterious liquor clouds over Evergreen Terrace are gone. 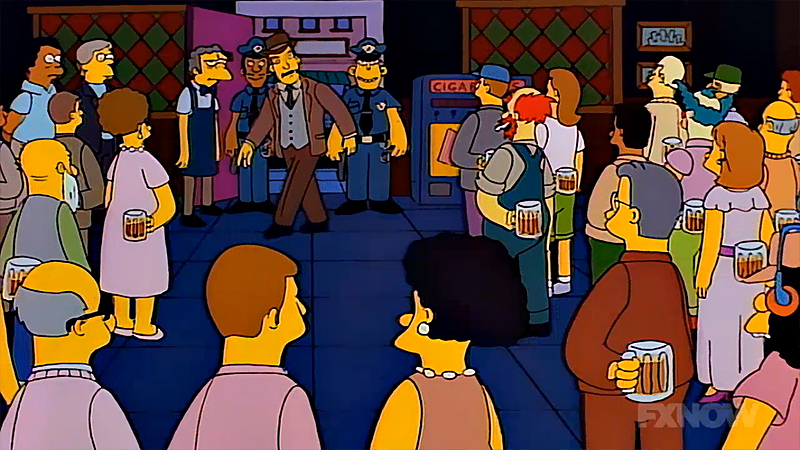 CROWD: Chief Wiggum has captured the Beer Baron. 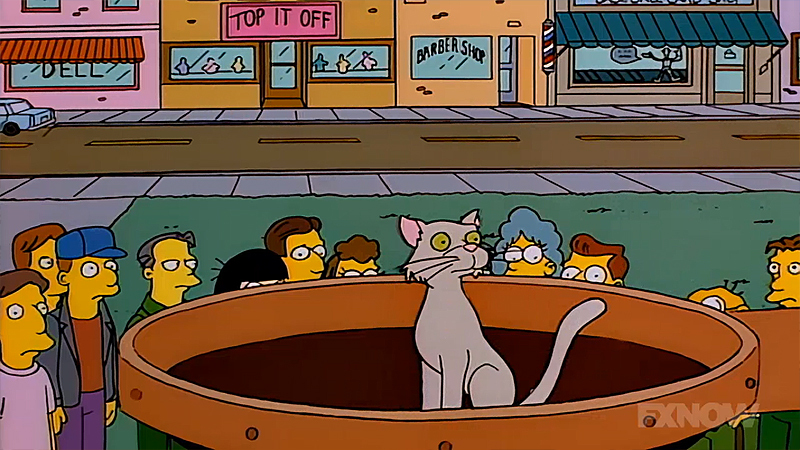 They captured Homer? 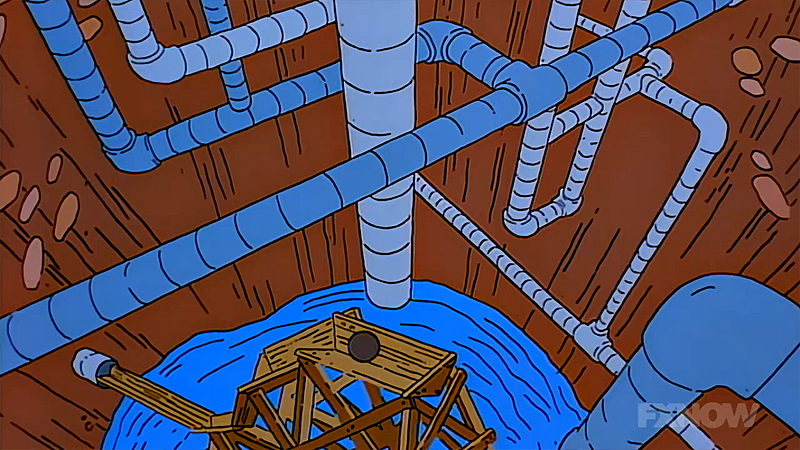 Then the liquor-filled bowling balls traveled through a network of underground pipes finally emerging at a nearby speakeasy. 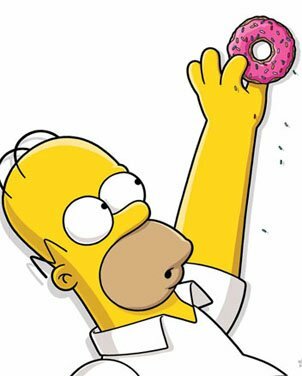 Marge: That was a very sweet thing you did for poor Wiggum. But what’s gonna happen to you? 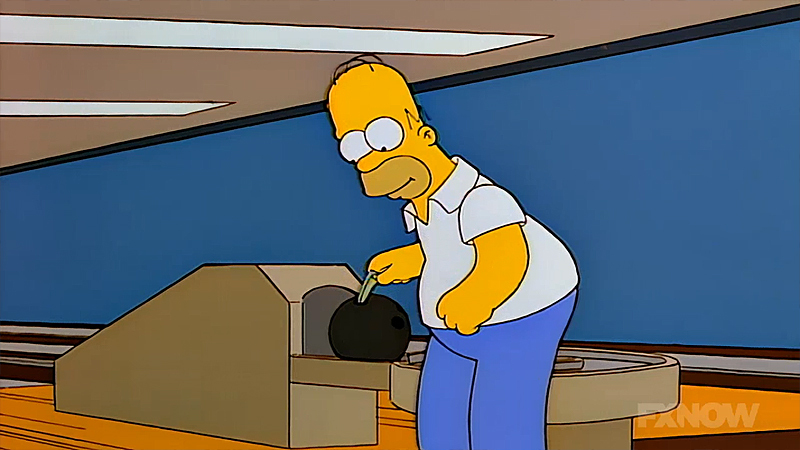 Homer: Oh, probably just a slap on the wrist. 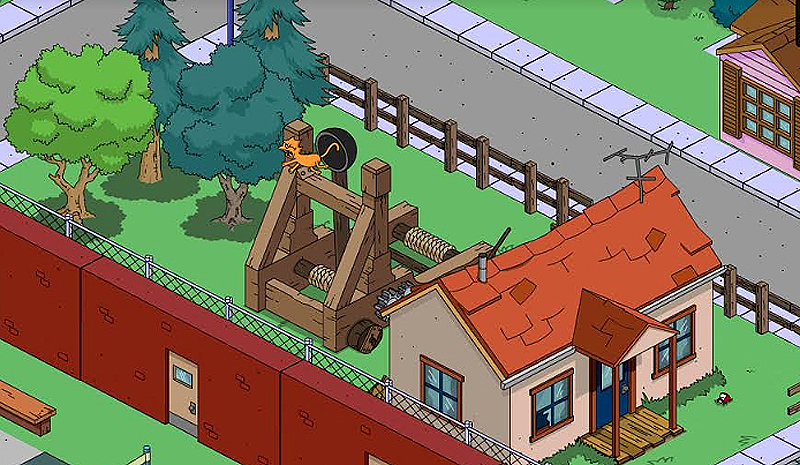 Town Clerk: “And he who shall violate this law shall be punished by catapult. 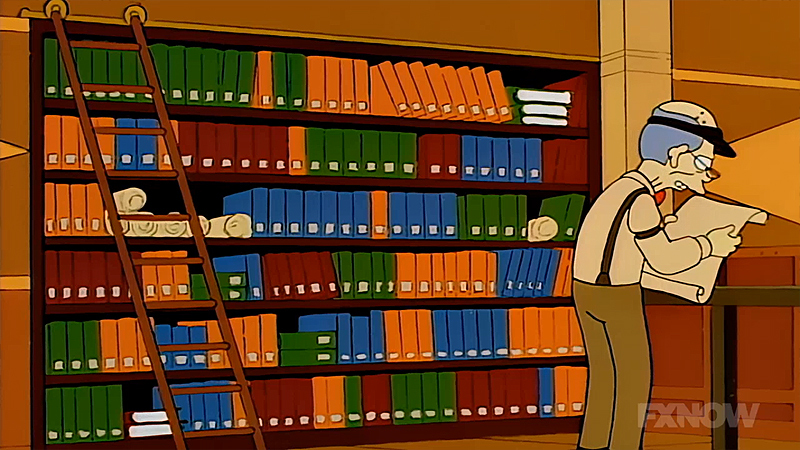 Homer: Last time I help you. 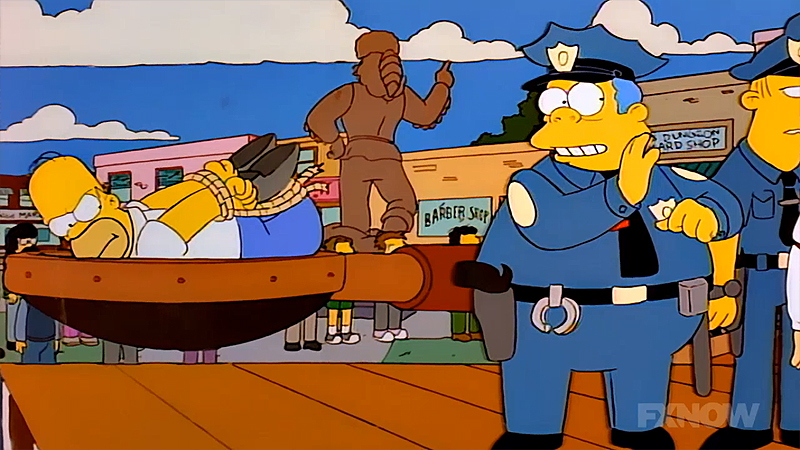 Wiggum: Sorry. I thought you’d get a fine or at most, three, four years in jail. Banner: Hold it! This machine is two centuries old. Better test it first. 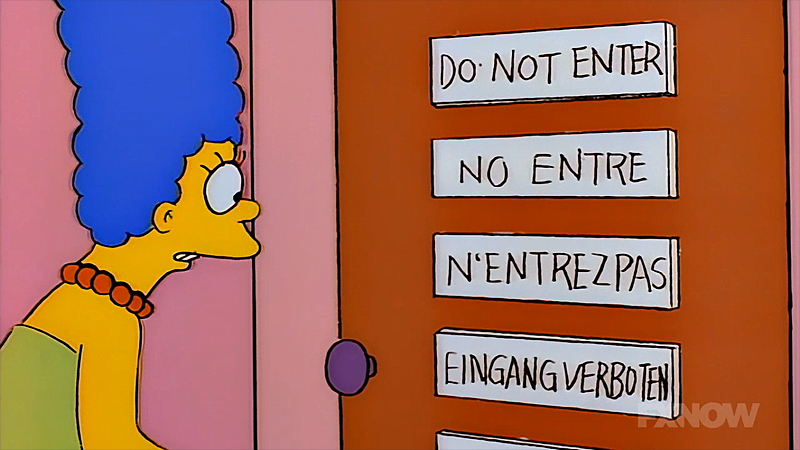 Marge: Wait! Wait! You can’t do this! All my husband did was violate a law that doesn’t make sense. Now, I’ll admit, car crashes and fistfights have been down recently but prohibition has cost us our freedom- our freedom to drink! – Banner: Now, hold on a minute, missy. It’s not up to us to choose which laws we want to obey. If it were, I’d kill everyone who looked at me cockeyed! – Our laws are in place for a reason. (Banner sits down on the catapult while giving this line). 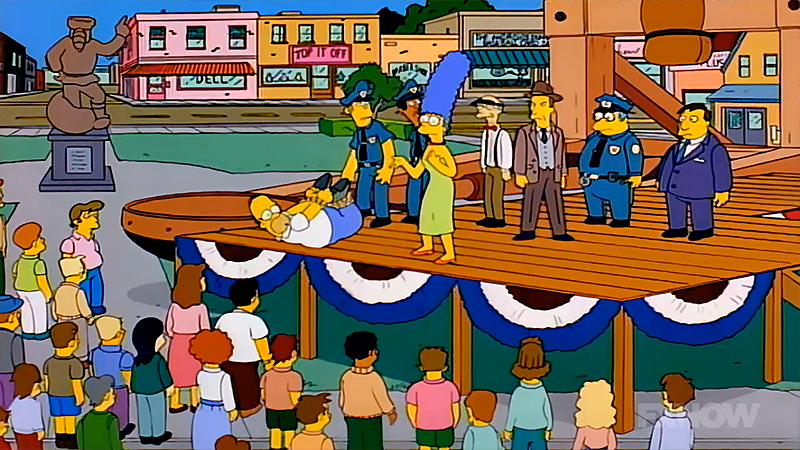 Wiggum: Send him back to Mama, boys. (Banner is catapulted out of town). 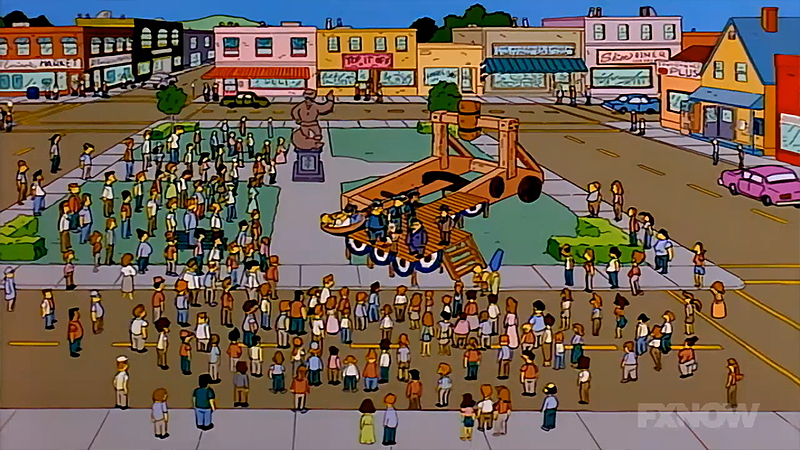 Wiggum: Well, reset the catapult, and let’s get this over with. Town Clerk: Wait! I have discovered more lines on the parchment. It says that the prohibition law which was passed here 200 years ago was repealed 199 years ago. 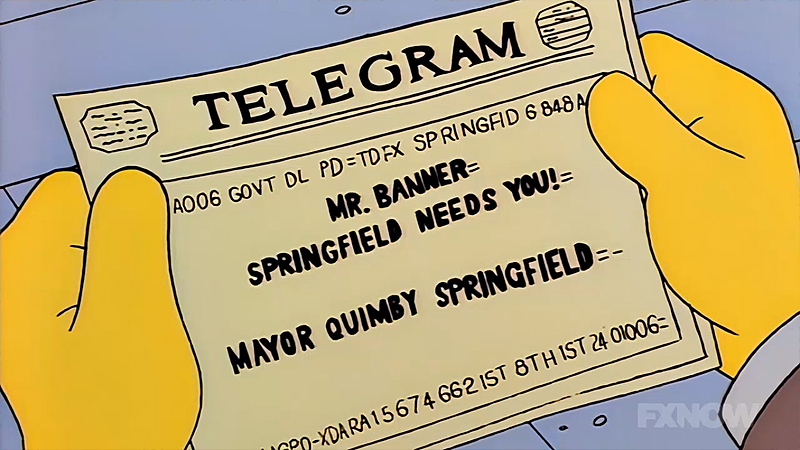 Quimby: Release the prisoner! Oh! On behalf of the city, I’d like to apologize and ask how long it will take for you to flood this town with booze again? NOTE: ONE OF THESE IS NOT FROM THIS EPISODE…Do you know which one? There is one more thing that I think EA got wrong…and that is not including the Cat-A-Pult in the returning items! This is hilarious…and not being a huge cat lover, I launch a cat, every time I swing by Crazy Cat Lady’s house. So there you have it… enough booze-related story telling to last you SEVERAL St. Patrick’s days. And no…I don’t celebrate because my name isn’t spelled the same (Patric without a K is Welsh). It is because I made the mistake of drinking several green beers one year, along with several green cookies, and a bit of green ham…which was just bad, not dyed green. College…it’s the final place where people go to see if they are strong enough to survive their own bad decisions. Have a Happy, SAFE, St. Patty’s Day!! This entry was posted in Homer vs 18th Amendment, Tapped Out, Where Did THAT Come From and tagged Bathtub Brewery, Damaged Simpson House, Duff Float, Duff Puff, Pot O'Gold Float, Rex Banner, St. Patrick's Day Banner, Tapped Out Tips and Tricks, The Simpsons Tapped Out, TSTO, TSTO Addicts, TSTO Community, TSTO Tips and Tricks, Unruly Crowd. Bookmark the permalink. St Patrick’s Day is shortened to St Paddy’s Day not St Patty’s Day. St Patrick was called Pádraig in Irish, hence Paddy. For all that is holy, please stop calling it St Patty’s Day. Well…as one who has Welsh roots (hence the spelling of my name) I respectfully exercise my right to NOT acknowledge either. While I’m clearly no saint, my “Uncle Patty’s caramel corn that I make for the family has Firmly established the existence of Patty, and therefore the possibility of a trademark infringement suit against those who spell Patty incorrectly with the D.
But as you went to the trouble to pull out a Gaelic phrase, the likes of which should confuse most anyone trying to read it, I will do my best to defer to you in the future. I work for a local brewery and love this episode, so I’m stoked on this event. Heineken is horrid example of beer no matter where you live. I may not drink Pabst or Busch for the taste but I do Fosters premium ale (green) and Heineken! Heineken Export is a weak representation of the Heineken brewed in Holland. That may be but it is still better than Budweiser. Same is true of Ringnes. 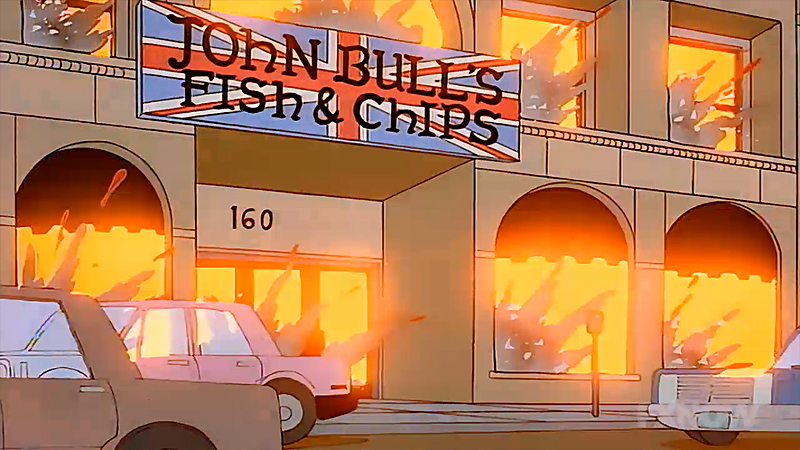 I loved that episode and if I recall correctly the damaged Simpson house was not from that episode it came from the one with Meathook and Ramrod. The story of Duff-Zero really happened in Holland with Buckler, a non alcoholic beer. The very famous Dutch comedian Youp van ‘t Hek lampooned it in his New Year’s Eve conference of 1989. The sale of Buckler plummeted that far, it was pulled from the market. Well…let’s be honest about that… if there was no alcohol in beer, would YOU drink it “for the taste?” There are so many other beverages that tastes better…if you don’t want the buzz. It’s the same with coffee. No caffeine, no coffee. And yet, decaffeinated coffee sells rather well! Although to me, coffee without caffeine seems rather pointless. Why bother?